A six week old puppy is an adorable bundle of fun. He looks pretty sturdy and independent too and you may wonder if its okay to bring him home to live with you right now. We’ll be looking at the pros and cons of adopting six week old puppies today and answering your six week old puppy questions. Let’s start by zooming in on an average six week old puppy. Here’s one from my last litter. He looks pretty well grown doesn’t he! How much should a 6 week old puppy Lab weigh? How much a puppy weighs at six weeks old will depend on a number of factors. If his parents were bigger than average, then he probably will be too. Your six week old puppy probably has a full set of baby teeth – if not, he will have a full set within the next week or two. He won’t start teething again – losing his baby teeth – for a few more weeks when he is around four months old. We have a great guide to puppy teething where you can find out more. Are 6 week old puppies weaned? Many puppies are fully weaned onto solid food by about six weeks old. They may still be suckling occasionally from their mother, but are no longer dependent on her for milk. 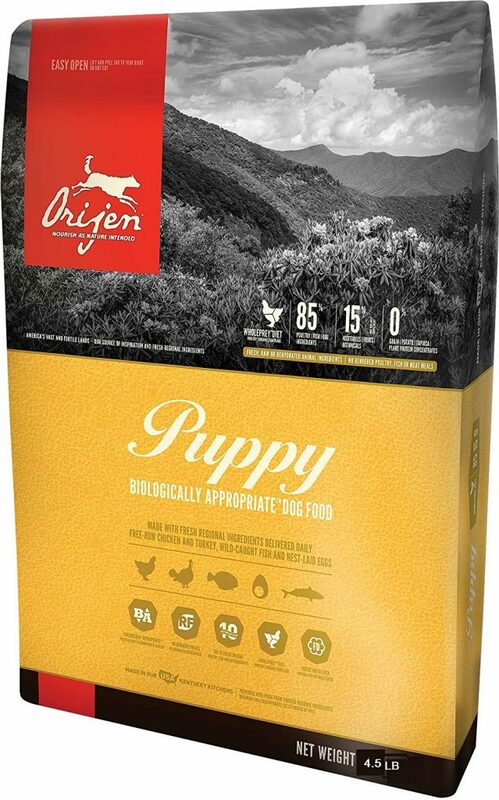 Healthy six week old puppies don’t need milk supplements, a good quality raw diet or commercial puppy food is sufficient. 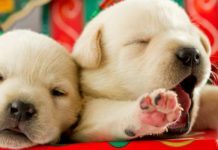 Your breeder may be feeding your puppy and her brothers and sisters up to six times a day. Do 6 week old puppies play? Why do 6 week old puppies sleep so much? 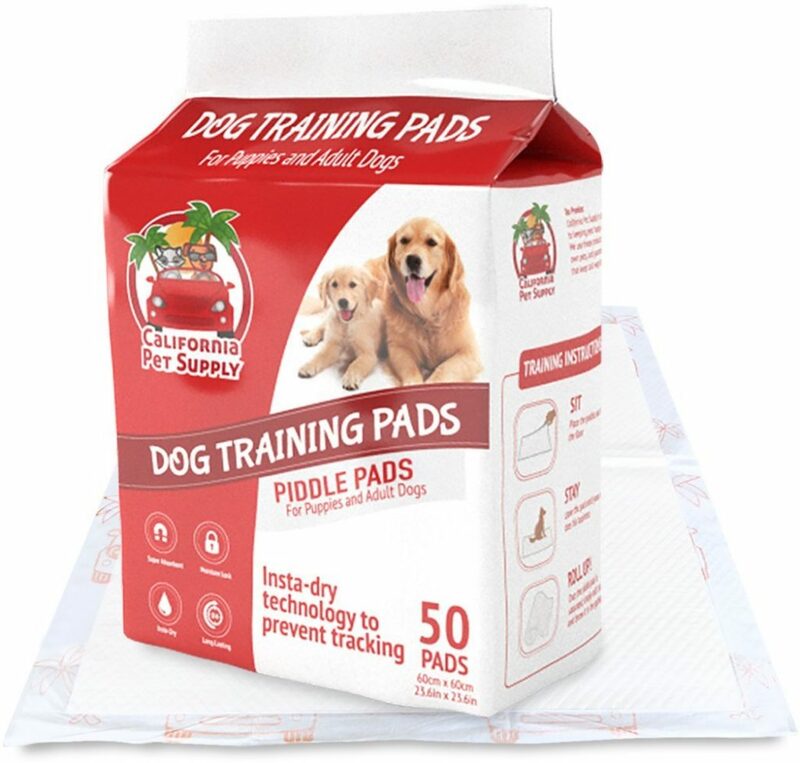 Some puppies will have got used to using newspaper or puppy pads to poop on and you’ll be able to make use of this when your puppy is ready to come home. At six weeks, a puppy needs his mother for play, contact and reassurance. He doesn’t need to be with her 24 hours a day, and she needs time away from her puppies each day. But he isn’t ready to leave her just yet so you’ll need to be a bit more patient! Is it okay to bring a puppy home at 6 weeks? But supposing there are exceptional circumstances? Is it okay to bring a puppy home at six weeks if you really need to? Unfortunately, the answer is – it isn’t okay to bring a puppy home at six weeks. Even more importantly than his need for his mother, a six week old pup needs his litter mates. So even if his mother were to tragically die, your puppy should still remain with his brothers and sisters for a short while longer. Let’s have a closer look at what puppies learn in those last two weeks that they normally spend with Mum and siblings before going to their new homes at eight weeks old. The process of learning bite inhibition is a long one. It begins whilst puppies are quite small and first learning to play with one another and with their mother. And it carries on until they are several months old. By the time you bring a puppy home at eight weeks, however needle sharp you think his teeth are, he has already learned a lot of bite inhibition from his mum and siblings. Although you have to continue this process, some of the hard work has already been done. At nine weeks, my own young pup could crush the bone in a chicken wing in seconds, yet never actually even drew blood when biting my fingers. Although it still hurt, her Mother had already taught her to ‘pull her punches’, yet she was actually capable of crushing the bones in my fingers. If you take a puppy home at six weeks, you will have to do even more of ‘Mom’s’ job and teach the puppy not to cause actual bodily harm when she bites. This is not easy and has to be done in stages. 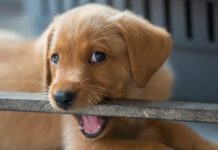 You cannot just punish the dog for all biting or it will not learn the vital skill of bite inhibition. You can read more about bite inhibition here. 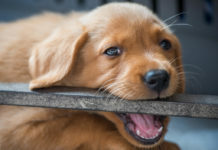 Bite inhibition problems are more likely with puppies that have been removed from their mother too early, and can be very difficult to manage if you have small children. A puppy in the nest is being jostled constantly. This is a normal part of growing up within a ‘litter’. This puppy still needs his littermates to help him learn to play nicely. 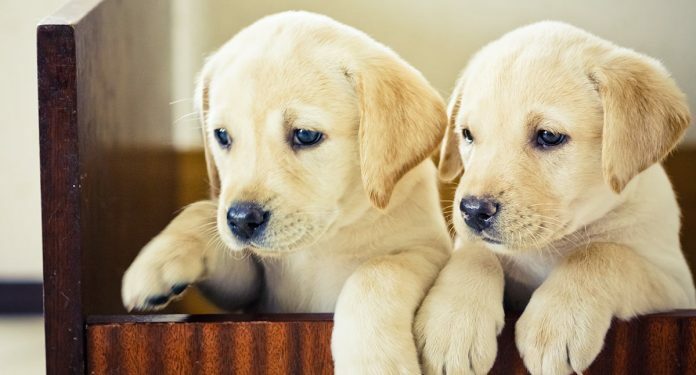 Labrador puppies that are removed from this jostling experience too young may dislike being touched or bumped in certain parts of their bodies. There is a potential for this to lead to behavioural problems, including aggression, later in life. Singleton puppies, and puppies re-homed too early need to be found a playmate of the same age and approximate size, so that they don’t miss out on this important stage in life. And that can be a challenge. If a breeder asks you to take a puppy home at five to six weeks of age, be very suspicious. Only in the most dire circumstances should a breeder let puppies go this young. The death of the puppy’s mother is not a good reason for separating the litter at six weeks. Bear in mind that some disreputable breeders will make up excuses to get rid of puppies when they get to this age. 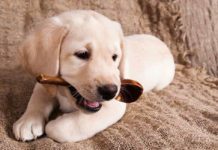 Short of a personal disaster, no reputable breeder will normally request or permit a puppy to leave her premises before seven weeks of age, eight weeks if you are an inexperienced owner. You’ll find articles online, telling you how to care for a six week old puppy, what toys to buy etc. You won’t find one on this site because our policy is to discourage the practice of bringing puppies home before 8 weeks old. I don’t get quite so many letters from people outside Europe and North America who are desperately worried because the puppy they have purchased at three or four weeks old (yes really) is very, very, sick. So perhaps breeding standards are rising. But I do want to address one argument put to me recently. And it’s a valid one. I received a letter from a reader in India who felt I did not understand the situation there. He told me that in many cases, breeders were so awful that puppies were most likely to survive if removed from them at the earliest possible opportunity. He felt – and I understand this – that by bringing his puppy home at five weeks old, he probably saved the puppy’s life. The problem with this argument is exactly the same as the argument here in the UK or in the USA against buying puppies from puppy mills or pet stores, or out of the back of a van. If you buy that one puppy – to ‘rescue it’ you are effectively dooming hundreds of other puppies to a similar squalid existence and poor start in life. And in may cases to an early death. The breeder is only in it for money, so every puppy they sell, they will replace with another. Short of dramatic changes in the law which are not going to happen any time soon, the only way to stop this horrible trade is to dry up the demand for poorly bred puppies. And that is really down to you, the puppy buyer. The outlook for the adult female dogs used to produce those puppies is even worse, so please spare a thought for them too. Buying a puppy from the wrong breeder just perpetuates bad breeding practices. The answer is to walk away and find someone that is breeding dogs responsibly. So what can you do between the time your puppy is six weeks old and the day he is ready to come home? That two weeks needn’t drag. 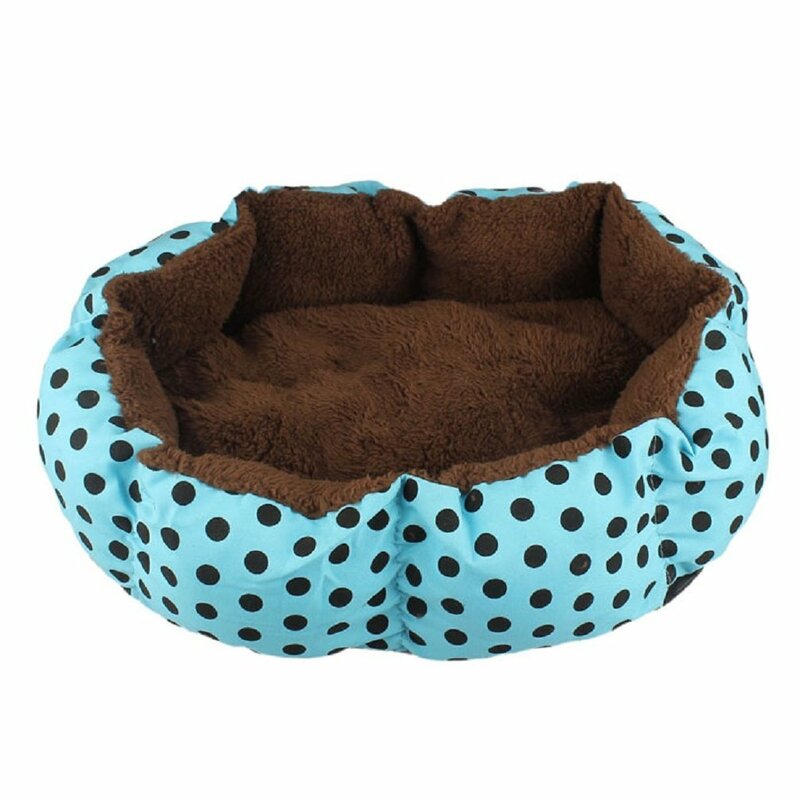 You can be busy getting your home and yard puppy proof, and buying essential puppy supplies, toys and bedding. Dip into our Puppy Essentials list for ideas! A six week old puppy is often weaned and eating solid food. He is learning to be sociable and will enjoy it if you can visit and get to know him, but he isn’t ready to leave his brothers and sisters just yet. Again, please, do think hard before bringing a young puppy home before he or she is eight weeks old. For a complete guide to choosing your new friend don’t miss Choosing The Perfect Puppy. Published in April 2017, Pippa’s new book covers every aspect of finding a the best breed of dog for your family and finding the very best breeder. She helps you avoid puppy mills and other pitfalls along the way. 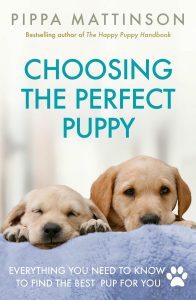 Choosing The Perfect Puppy takes all the strain out of making this important decision and is available worldwide. I wonder if you can help me. Bought a puppy at 8 weeks old she has been house trained with training pads. But until she got to 16 weeks still with traing pads poo’s on the floor instead of her training floor pads any suggestions to retrain her> I take her out for a walk every day and she is well behaved on and off the lead. She goes on puppy traing class and is happy and well behaved. Recently an add came across facebook, and this lady has collie/lab pups for free. the lady got them from her cousin(who wasn’t hardly caring for them) and she needed to give them away to other families, because she dont have the room nor the lifestyle for a 8 puppies. so i went to her house and picked one up, a little girl. she is 5-1/2 weeks old. i heard thats too soon for them to be given away but i am at the stage now of, “what do i do from here?” puppy is weened on moistened dry food, drinking water, pottying outside, and of course loads of play time. I would appreicate any and all advice on what i need to do to care for my puppy. i plan to take her to a vet soon but i dont know much about raising puppies. i know i wanted a baby. but i didnt know she was gonna be this small. but i am ready to learn and teach my new baby girl. Hello, I have a question about whether or not it’s wise to get a husky/malamute mix puppy that is now 9 weeks, but the lady who is selling her brought her home 3 weeks ago (at 6 weeks) and is now getting rid of her because “she already has 2 dogs and doesn’t have the time or attention to give a new puppy.” So my question is should I keep looking for another pup that has had the full 8 weeks with the litter? Hello my name is Christine. We were planning to adopt a 8 week lab/husky but the breeder called my mom and told her to come get the puppy at 5 weeks. He is now 6 weeks and has been with us for a week but he bites absolutely everything and everyone. He also refuses to sleep through the night. I’ll wake up and take him out to go potty but when he is done, he won’t fall back asleep and just cries untill let out of his crate. I am aware of how young he his but when we pet him or are just laying down he will “stalk” us and start to bite and growl. Can you please help? I don’t want to get rid of him but I might be loosing my patience. Hi! I have exactly the same problem. The owner insisted so we took our pup at 6 weeks. He’s been with us already a week. Due to some health problems I am and will be staying home for another 2-3 months so I am with my pup all day long. He bites all the time, me, everthying that comes in his way. Already second day we managed potty training so he doesnt even have accidents anymore which is great success but problem is he is crying everytime I’m not paying attention to him. I literally cant even do dishes without him sitting next to me and crying. My question is is it gonna stop the crying? Is it only now cuz he is so small and was taken aways from mother too soon. I will start working again and he will have to stay home alone for few hours and Im really scared that what if its not gonna stop. I’ve been searching all over internet for two days now but no one can really answer me. My husband and I went and picked a puppy out, and we will be getting him in about 2 weeks, once he is 6 weeks old. I love what you said finding them a playmate, so that they start socializing at a young age. We have another dog, and I think he will be a good buddy for him, he is a very relaxed dog. Hi Anthony, Please take another look at the article. Your puppy should remain with her littermates and mother until she is 8 weeks old. Hi Michelle, the information you need is in the article above. 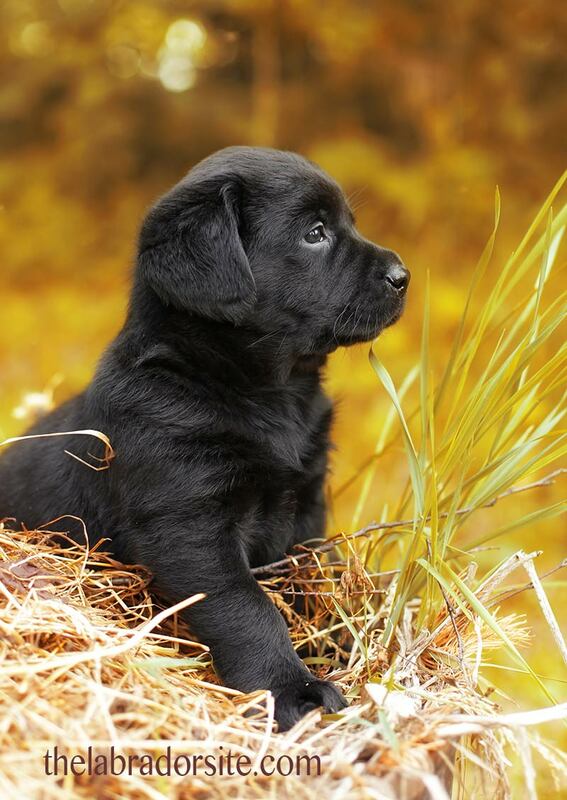 You should not purchase a Labrador puppy at six weeks old for the reasons given and because it demonstrates that the breeder is not responsible. 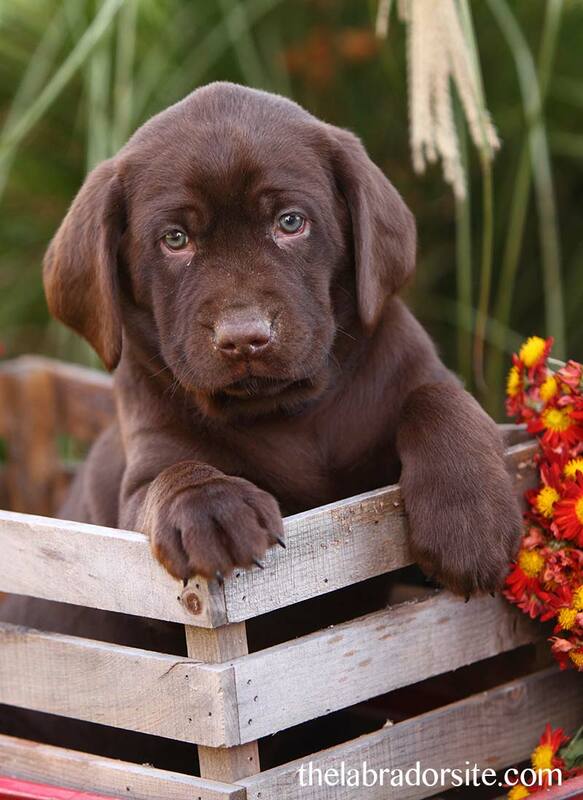 Your first task when sourcing a puppy is to find a responsible breeder. Good luck with your search. We are getting a lab puppy at 7weeks. Its in between too early and correct timing, so I hope this isn’t too bad? My question is this: Our pups mom did not give birth naturally and had to be rushed to the vet to help remove the pups. 4 of the 5 were still born, so our pup is an only child. I met him at 3 weeks(yesterday) and he is quite a big(fat) pup. I guess he did not have to fend of 4 brothers and sisters for milk/attention from mom! I would like to know how this will affect him in future? I want to take the best possible care of our new family member! Hi Pipa! My 4 months old lab as lost a tooth while playing with a rope, ( the rope is suitable for dogs). Is one of the front peaked…..I don t know if its normal or not. Can you help me? Thank you so much. I have a yellow labrador puppy 2 month old. His nose is slightly brown on edges and remaining is black. Is it a problem or normal. He is very active and healthy and weigh around 4 Kgs much heavier then other siblings. I got a lab mixed with a cur yesterday. It’s a female and she is 6 weeks old. I’ve brought her around a lot of people and she is very quiet. With me she plays and stuff but bites alot. Any way I can help out with that instead of punishing her. And also , she won’t drink water. I’ve given her milk and she’s drank that. I gave her some moist food from Petco and she’s eating that. I got her puppy formula but she won’t drink it. Any ideas on what to do ? Hi James, there is a link in the article above to help with biting. 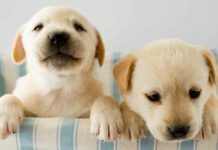 This is the article on feeding a puppy but it is for puppies of seven weeks and over. Hari, here is my article on this subject. Please take your puppy back to the breeder, failing that, contact your veterinary surgeon for help. Hi there! I understand that this page is for labs but I feel this is relevant. I was puppy hunting with my fiance and found a beautiful little boy (we’ll call him Dexter) The owner is not an experienced breeder and the litter was an accident. They were going to just get rid of the pups (AT 3 WEEKS OLD) to a shelter or who nows where. I Rescued one pup and even offered a small amount of money to encourage them to keep it with the mother and the other pups till they are of age. He is now 7 weeks old and I’m concerned with how he is being handled. REMEMBER I rescued him. the other dogs will go to a shelter at 8 weeks. I want to know if at 7 weeks it is better to bring him home and have control over what he eats and his experiences or if another week in an unpredictable environment is worth it. Please note that there is no cruelty at its current home. Just an unprepared accidental breeder who got in over his head. It sounds like a bit of a judgement call. Without knowing a great deal more it would be a difficult one to make. My puppy Alfie is now 4months old nearly 5 months, he is a Labrador crossed with a German Sheperd, he’s such a clever little character! His Mum is the German Sheperd and his Dad is the Labrador. When I first got him he was 5 weeks (nearly 6 weeks old) old due to his mother abandoning them and was becoming aggressive towards the liter. When he was 5 weeks old we had to feed him his milk every 4 hours, i’m not going to lie it was hard but you get used to it and the routine/very early mornings become easier to handle. Its just absolutely amazing watching them grow and develop and the little things they do what make them unique. He’s no trouble at all, and thats quite rare to say with a puppy, he is crate trained also. He used to nip quite a bit but what puppy doesn’t, this website helped a great deal in dealing with it and cutting it out for good and now he hardly does it. He’s going puppy training at the end of the month just to top up his training and my knowledge so I can be the best for him as he’s so mentally alert I need to think of new things for him so he doesn’t get bored aswell. He loves his walks, I follow the 5 min walk for every month etc and he loves it! Cant wait to take him for long walks on the beach or in the forest, he’s so good on the lead already so with the puppy training he will be even better at it. He gets plenty of my time which is great for both of us, my partner works full time so i’m at home with Alfie and I work a few hours in the mornings but my mum only lives just down the road so if need be my mum will let him out in the garden. 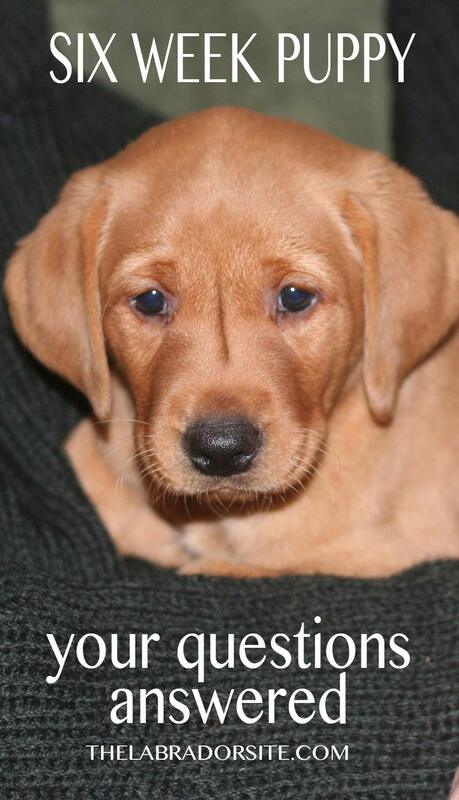 Hi Pippa, I am currently waiting on a puppy of my own and am suppose to pick it up the third week in December. It is not a labrador but a Siberian Husky. After coming across you article online I have become very concerned. The breeder that I have purchased him from requires the new puppy owners to pick their puppies up at 6 weeks old. Her website states that she has been a breeder of Huskies for 15 yrs. and that she will not hold a puppy past pick up date unless there is an emergency situation. She also has people who have puppies in this litter that have come to her before. I have already paid the non-refundable deposit for this puppy and will have the time to give it all the special attention that it requires. Should I just take the loss and find another breeder? Will he really be that damaged it i do get him at 6 weeks? I have done my research on this breed and have found that they can be aggressive if not properlly trained right so I am a little scared now that this can cause many problems in the way he turns out. 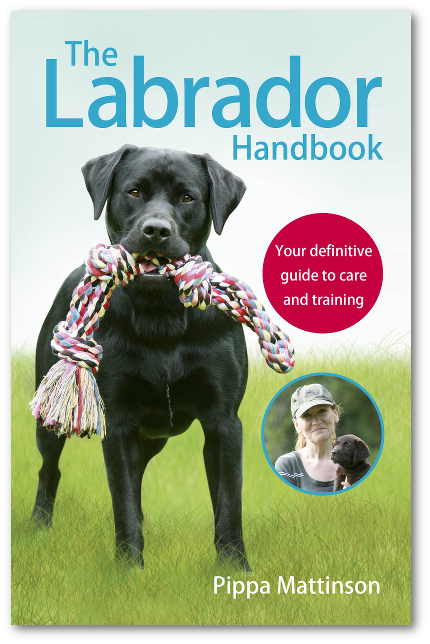 This site is for and about Labradors but much of what is written here applies to all breeds of dog. If there is some particular reason why Siberian huskies should be adopted at six weeks I am not aware of it. Nor can I imagine what reasonable ground for such a requirement might be. But that does not mean I would discount it out of hand. If I were buying an unusual breed like this, I would consult with the breed clubs in the first instance. I am sure that you have already done your research, but this is the UK Siberian Husky Club’s page of minus points for those thinking of owning a Siberian Husky. It does not mention early adoption as being necessary. Here is a page from the American Club, again, it does not mention early adoption. The fact that someone has been breeding for 15 years and has return customers, does not make them a good breeder. It does not make them a bad breeder either. I would however be very suspicious of the six week requirement and in your position I would be consulting with the Kennel Club and Siberian Husky Club in your region for advice first thing on Monday morning. 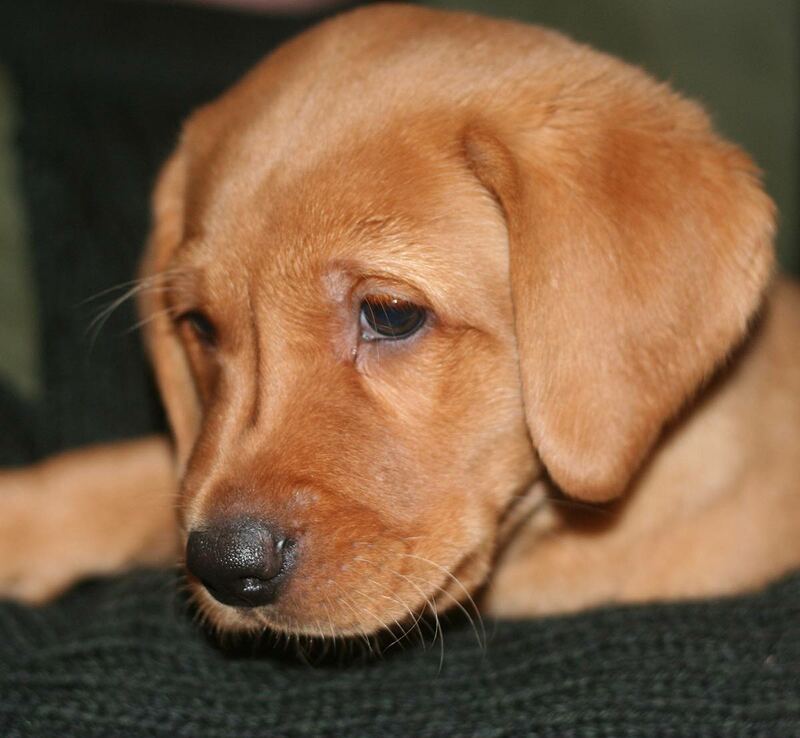 Hi Pippa I sent you an e-mail before about my friends buying a Labrador puppy. Not only did they visit and were all in with and handling the puppies at 2 weeks old but they have just shown me recent pics of the puppy they chose being bathed at 4 weeks! I am beginning to think that they have made a mistake and the breeder although knows all about the health issues in breeding but really doesn’t know much about behaviour and how it is important that the puppies get the best start possible. My friends have set their site high in that they want a Labrador the same as my Holly, as she is very well behaved and is a dream to own. I bought Holly at 9 weeks old, I never got to view the pups until they were six weeks. She came from a man who was very experienced in breeding gun dogs and took part in the sport. He also practised as a dog behaviourist. I actually asked for his expertise when picking Holly as a puppy and as a result a got a big healthy puppy who was easy to train with his guidance. he has now retired but I keep intouch with him. Not sure that my friends pup is going to have such a good start. 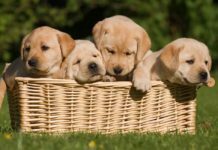 As a hobby breeder of 7 years experience and a dog owner for over 20 years, I found your article on collecting puppies early very interesting. However, I am concerned that you missed one of the most important reasons. In the UK it is against the law (Welfare of Dogs Acts 2004) to remove a puppy from the breeder, it’s place of rearing and the dam before the puppy is 8 weeks old. 1999 act does state that a keeper of a licensed breeding establishment must not sell a puppy before 8 weeks. So presumably the law does not apply to the vast majority of breeders that are hobby breeders, and this means that these breeders can legally let puppies go at any age they choose? It is an interesting subject. Does anyone have any more information on this? Or a link to a more recent Act? I knew a breeder (an amateur, not a registered breeder) who insisted on keeping his puppies until they were 12 weeks old. I have a lovely Black Lab now who is a great friend but was more difficult to train than the Boxer I bought from that breeder years ago. I wonder what your view is on this issue as his stated reason was to ensure they had learned a lot from their mother before leaving home, and it seemed to work well.